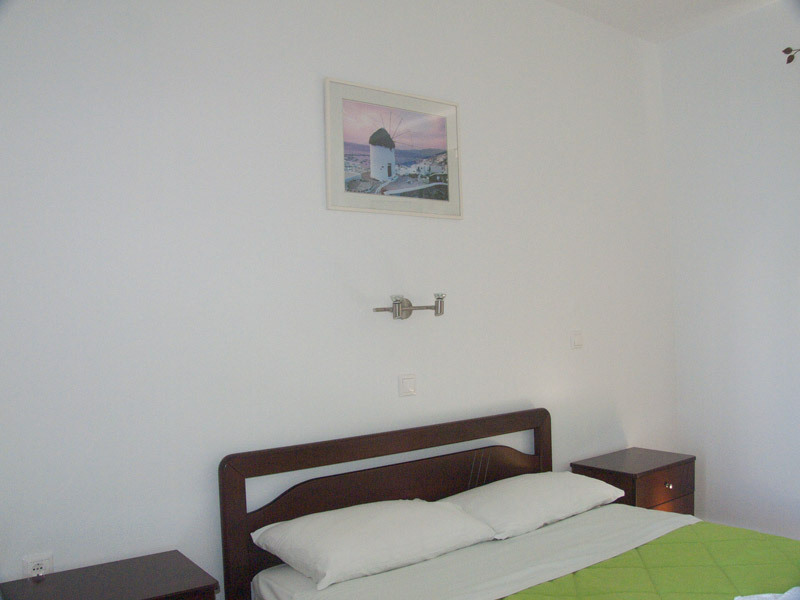 Staying at Sourmeli Garden is an experience of genuine hospitality, with inexpensive prices compared to most Mykonos hotels, while providing a central location and a high standard of services, such as the shiny clean rooms, free wifi throughout the building and transfer services from the port or airport, making it the ideal option for accomodation among Mykonos Town Hotels. 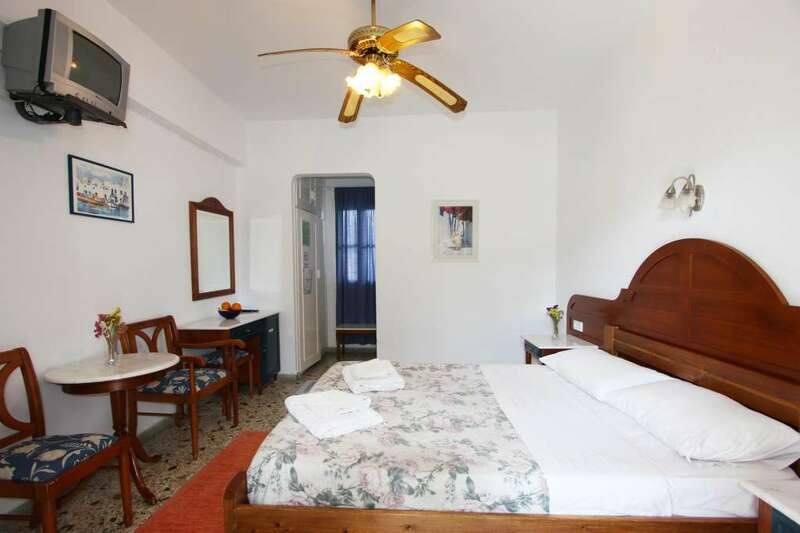 Sourmeli Garden offers 12 fully equipped rooms divided to 5 categories. 1 standard double & 3 standard twin rooms are located on the ground floor, offering a balcony and easy access to the terrace with its garden and there is space for an extra bed in each room at a 20% extra surcharge. 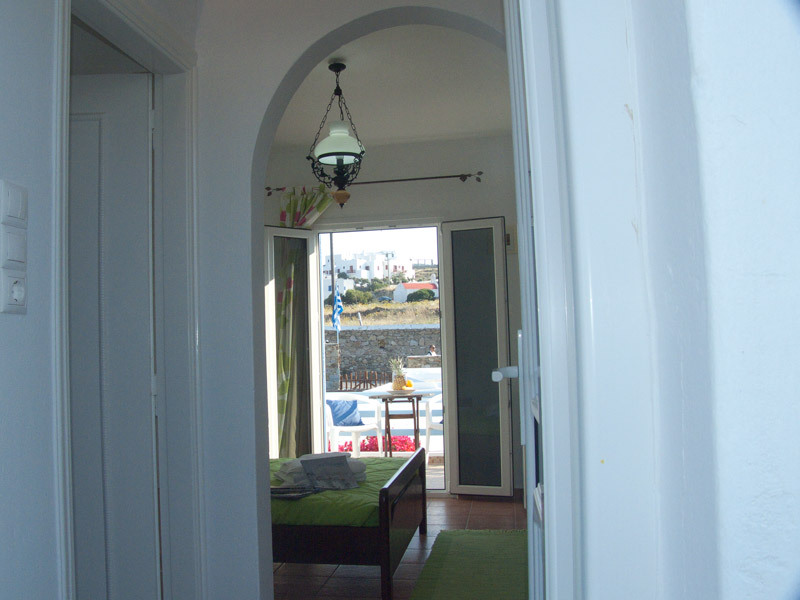 3 town view double & 2 town view twin rooms are located on the first floor that offer a spacious balcony with a partial sea view and there is no space for extra beds. 1 family room is located on the ground floor offering 4 beds with capacity up to 5 persons for extra bed at a 20% surcharge, ideal for families or group of friends. The superior room contains 2 rooms with 2 double beds with capacity up to 5 persons for extra bed at a 20% surcharge. 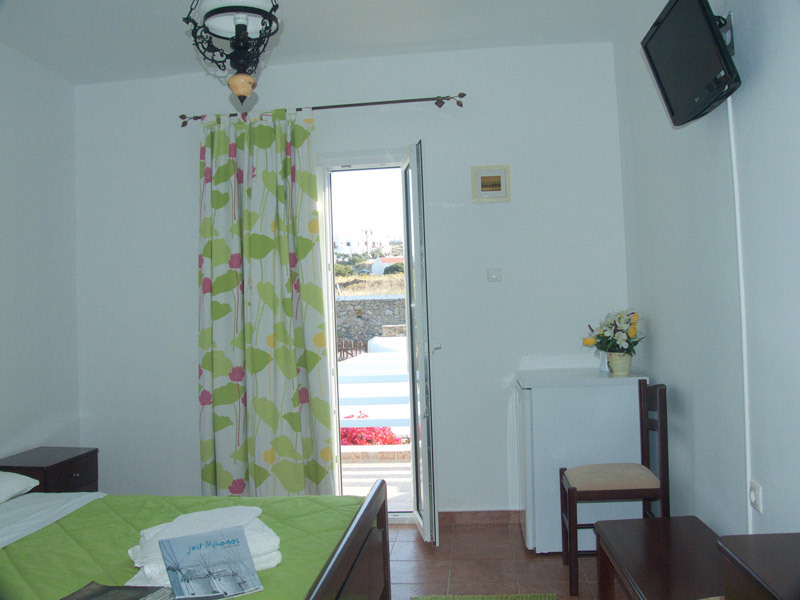 It is also offered as a superior double rooms for those who seek for a more comfortable accommodation in Mykonos. Conveniently located in a very quiet area just 400 m. away from Mykonos Town (Chora) and its vibrant nightlife, Sourmeli Garden is easily accessible from all major points of interest of Mykonos Island, an ideal option among Mykonos island and Mykonos town hotels. The nearest beach is 'Megali Ammos' at 500 m. away from Sourmeli Garden, however there is a bus stop next to the hotel that provides easy access to all beaches and landmarks of Mykonos island. The old and the new port of Mykonos are 800 and 1000 m. respectively away from the hotel. Contact us for enquiring about transfer services from the port and airport. 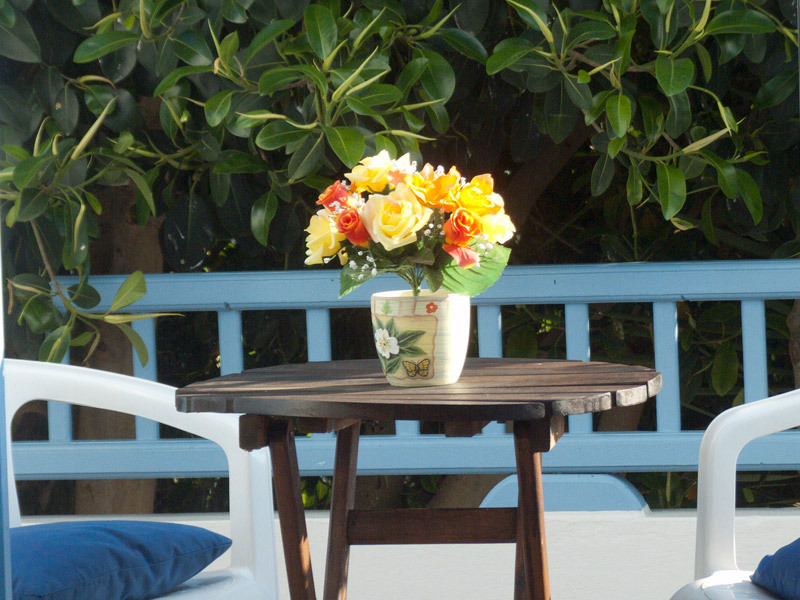 Staying in Sourmeli Garden is your passport for easy access to every interesting point that the island of Mykonos has to offer and the best option for accommodation in Mykonos town.